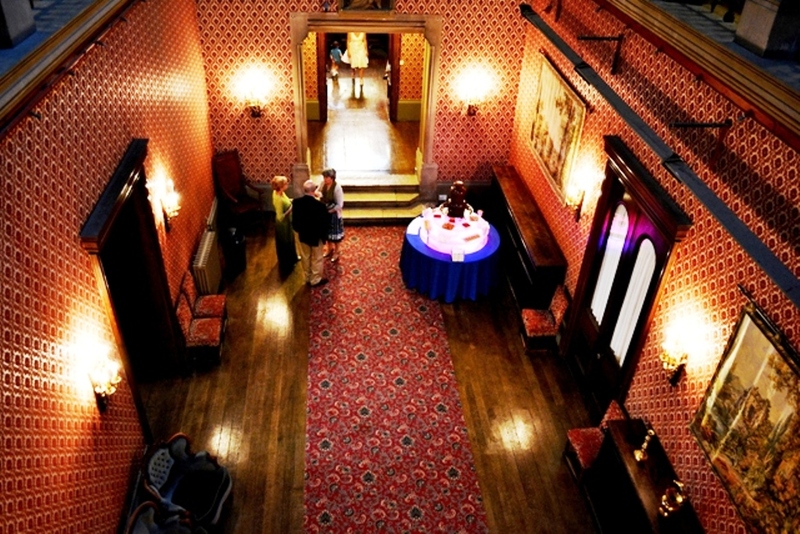 Grittleton House in Wiltshire is the perfect location for weddings and prestigious events. 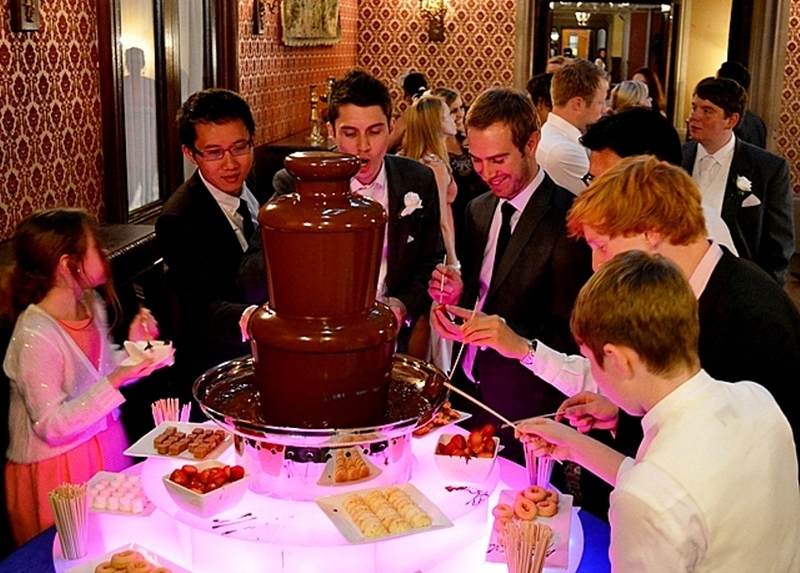 Set in romantic grounds in the midst of manicured lawns to match, it was just one of those locations one loves to attend as busy, professional catering staff prepared sumptuous cuisine and as our chocolate fountain promptly became the main centre of attention. Despite the consistent rain for the entire tenure of the event, weather, nor rain drops dampened the enthusiasm for the event. It was certainly a special wedding that demanded only the very best of everything. It is certainly true when we say, ”you’ll know the difference when you taste our chocolate” Looks of utter joy engulfed customers and chocolate punters alike. What chocolate is this? Where can I buy some of this? Do you do this in dark? 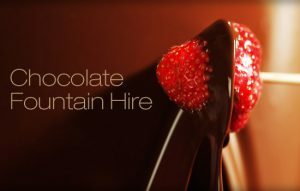 We have an answer for every question – we are, in fact, chocolate connoisseurs. The original house ‘Grittleton Manor’ which rested on the site was a three bay, Jacobean manor dating from 1660. Major changes took place after Joseph Neeld aged 38 purchased the estate in 1828. Neeld was a London solicitor who had inherited a fortune of £900,000 from his uncle Philip Rundell (of Rundell & Bridge) the silversmith; Grittleton was to become his country seat. At that time the estate consisted of 1,248 acres within the parish. 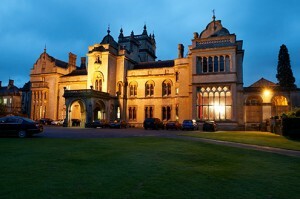 The present Grittleton House was built between 1835 and 1856, the architect being James Thomson. Later modifications were overseen by Henry Clutton. Joseph Neeld was an enthusiastic patron of the arts and so built his palatial mansion to house his important collection of sculptures and other art treasures. Sadly Joseph Neeld died before the present house was completed. Joseph did not have a son to inherit the estate, so it passed to his brother John. John Neeld not only completed Grittleton House, but also oversaw the completion of the houses in Alderton Road for the estate workers which had been started by Sir Joseph Neeld. John Neeld died in 1899. As John had six sons, it seemed safe to assume that the family name would endure. All six sons however died without children. Sir Audley Dallas Neeld (last surviving son of John Neeld), died in 1941 at the age of 94 without heir. As the Neeld family had no direct descendants, the estate passed to the illegitimate daughter of Sir Joseph Neeld, who in 1844 married Colonel William Inigo-Jones. In 1942 Lionel Inigo-Jones succeeded to the property and changed his last name to Neeld and on his death in 1956 the property passed to his brother Ralph Inigo-Jones, known as Ralph Neeld. In 1967 the Shipp family moved to Grittleton and rented Grittleton House from Ralph Neeld. The Shipp family finally purchased Grittleton House in 1972. Grittleton House is still owned by the Shipp family and is run by the family as an Independent Day School and is a fantastic venue for all types of occasions. Our range of locally-sourced, dipping items included, fresh Mini-Donuts, large British Strawberries and Mango Slices (seasonal), Freetrade Pineapple and Kosher/Halal Marshmallows plus Dairy Cream Fudge Squares. Check out our complete dipping range !!! This was an event to relish, enjoy lavish grounds, amicable revellers and a fountain to match. Have an event you would like to crown the evening with something special? 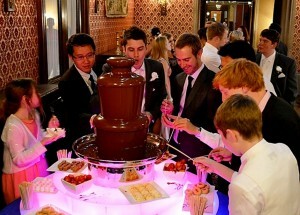 Try one of our chocolate fountain hires and contact us today – we are already taking bookings for this year.